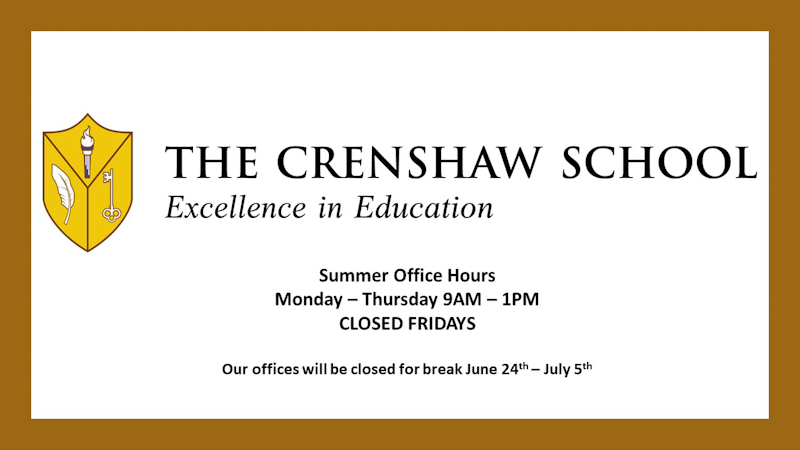 Welcome to The Crenshaw School Student / Parent Portal! Access grades, calendar, announcements and much more! Visit our new website and follow us on Facebook! Download the pickup patrol app and notify the school of pickup changes and absences!